Comms-care has launched a new set of configuration services, covering a range of hardware and software, for reseller partners. The firm, now a part of Ingram Micro, will deliver services from its dedicated 4,000 square foot space in the distributor’s Logistics and Distribution Centre in Crick near Daventry. It says the new space is large enough for the team to work on the configuration of multiple shipments on behalf of channel partners. 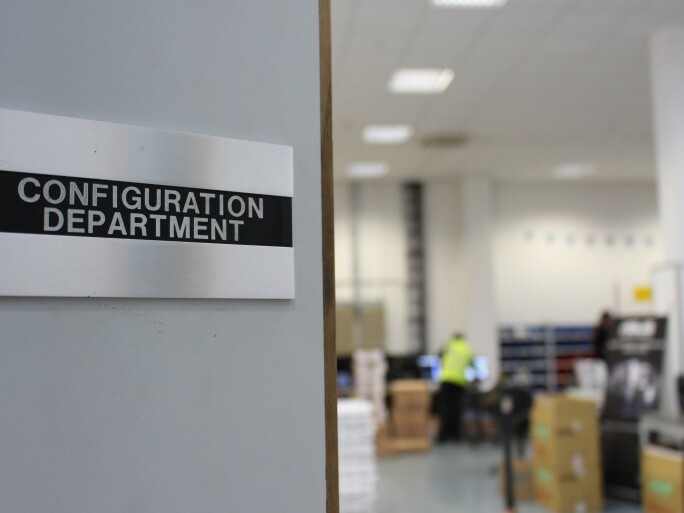 The introduction of the new services means that Comms-care can take delivery of hardware components at Crick and configure them at the same location for shipping, reducing the time taken to provide fully configured devices to the minimum. “Our key objective in launching the new configuration service is to reduce the friction involved in the whole supply chain from hardware manufacturer to end user,” said Mark Forster, operations director at Comms-care. “This adds huge value to the service provided by and to all parties, because it automates processes such as asset tagging and imaging in a safe and secure environment. The environmentally controlled configuration centre is compltely protected against Electro-Static Discharge (ESD) with the use of specialist ESD benches, chairs, work mats, flooring and tools. The team also employs image deployment, where a complete copy of a working system can be downloaded to multiple units simultaneously. As well as configuring hardware, the engineers at the new centre can install and configure a wide range of vendor or customer specific software, including operating systems.